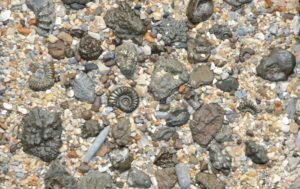 Tony Gill, the proprietor of Charmouth Fossils, started collecting for fun over 25 years ago. He is now a professional collector. 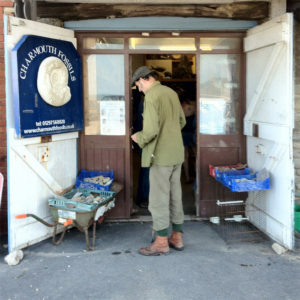 Our shop is situated just below the Heritage Coast Centre on Charmouth’s sea front. We have a large selection of fossils for sale along with crystals and gem stones, carvings and many other collectable and gifts. You can also purchase casts which have been reproduced from originals – all are prepared in the workshop at the rear of the shop. You can also hire fossiling hammers to aid your hunting and if you are lucky enough to find a good sample we will prepare it for you.